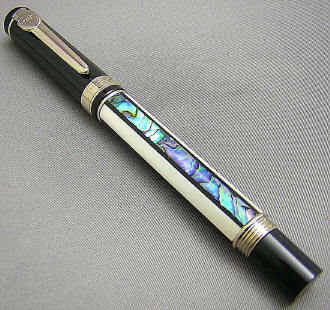 Like its larger brother, the Pearl Windows, Jinhao has done a wonderful job of incorporating beautiful mother-of-pearl into its pen design. The barrel intersperses three panels of lustrous pearl with three of iridescent mother-of-pearl, creating a gorgeous pen when viewed from any angle. 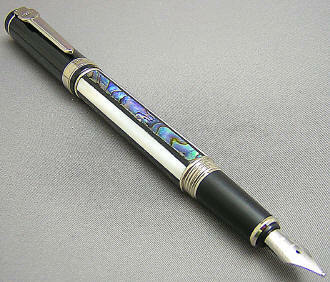 The pen is full-sized but fairly slender, measuring 5-1/2" capped, 6-1/2" posted and 4-7/8" with cap held aside. 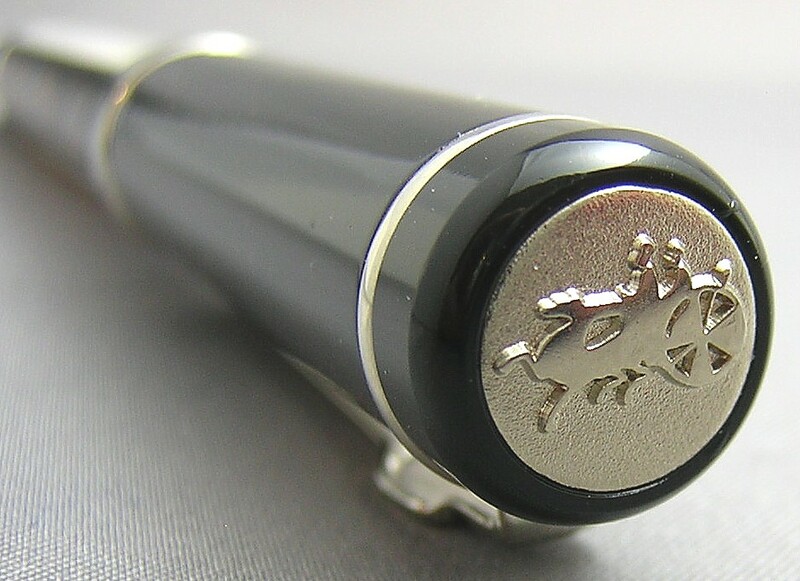 The cap itself is topped by Jinhao's chariot logo, based on the terracotta warriors from Xi'an, and the cap band is simply engraved with the company name. The shield and sword clip reprises the logo. 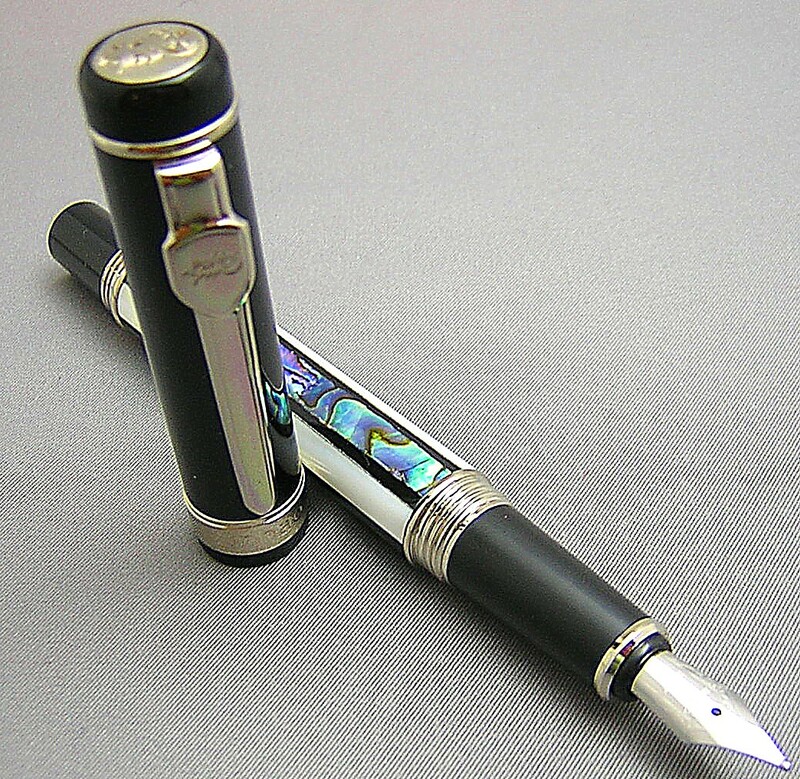 The cap screws on both ends of the pen -- which is well-balanced with cap posted or held aside. 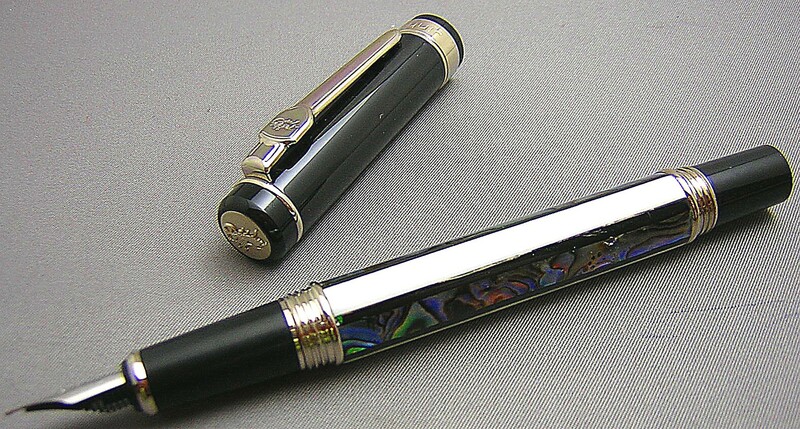 Removing the cap reveals the monotone, 18K gold-plated steel nib, simply adorned with the company name and 18K GP. I'd rate the nib as a light-medium, meaning that it falls between a typical western fine and medium.